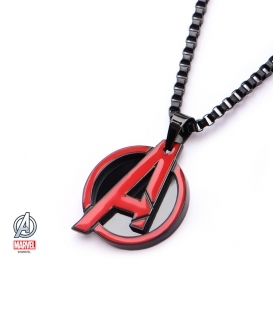 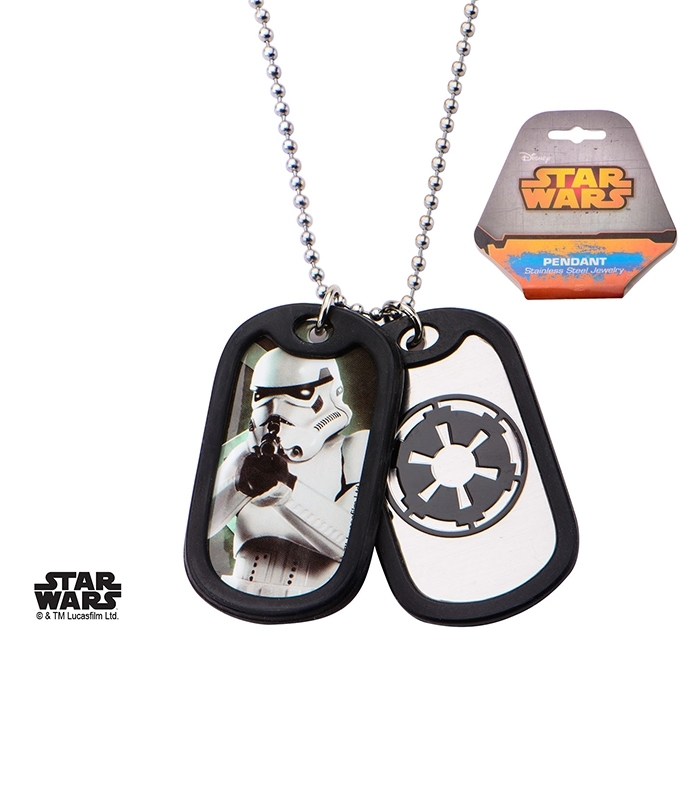 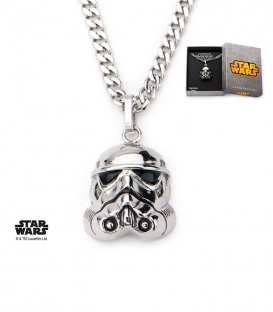 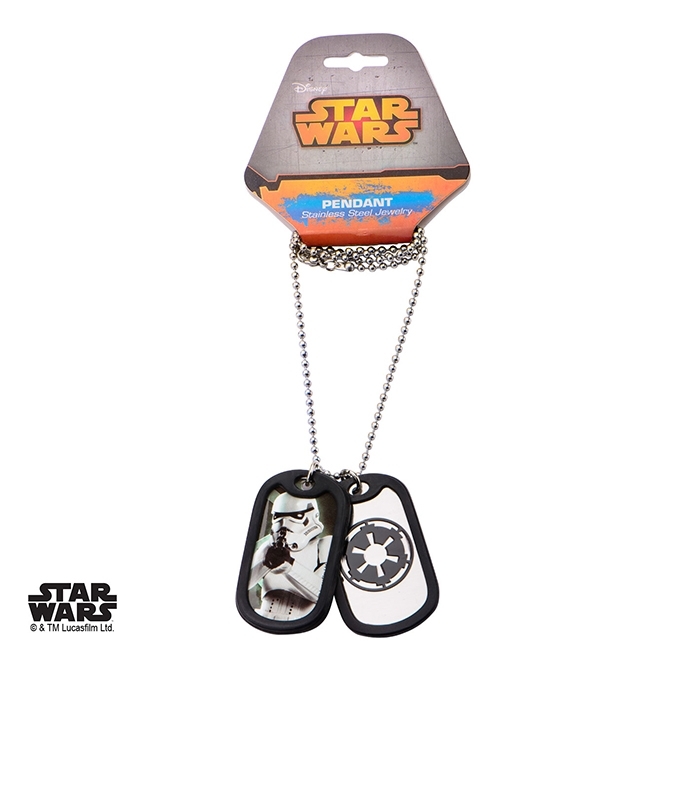 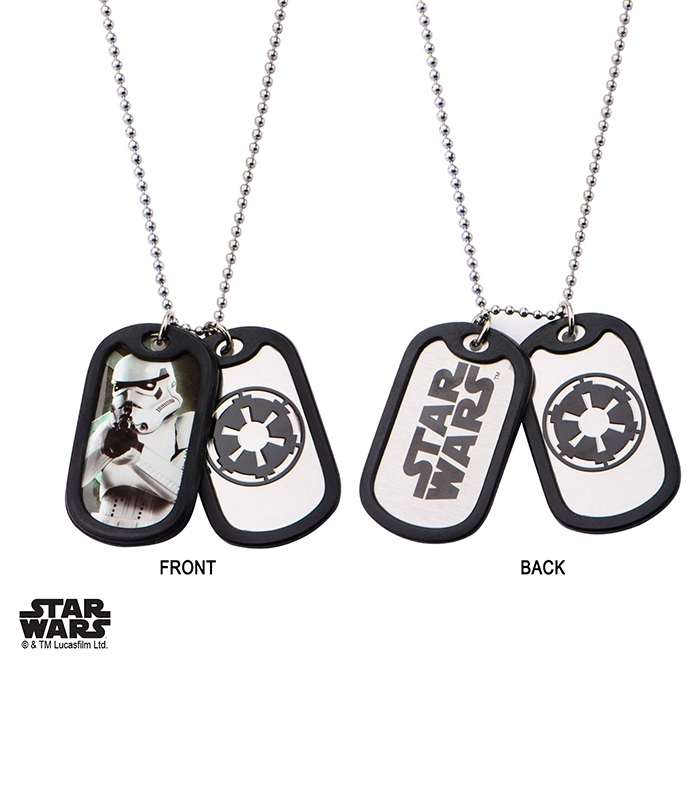 The stainless steel military pendant with the Storm Trooper symbol. 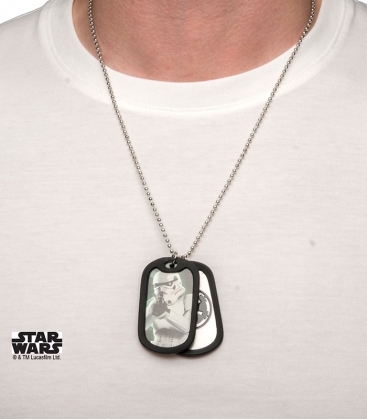 Discreet but efficient. 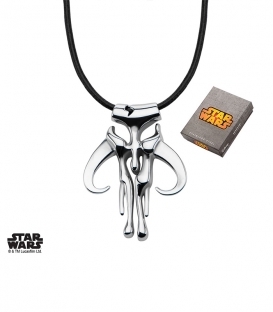 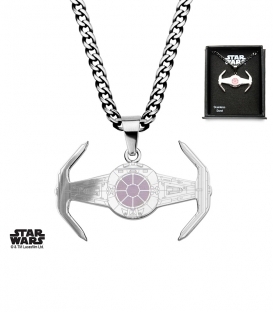 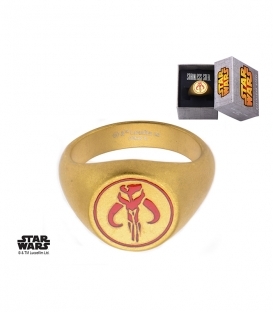 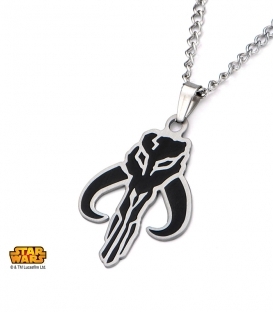 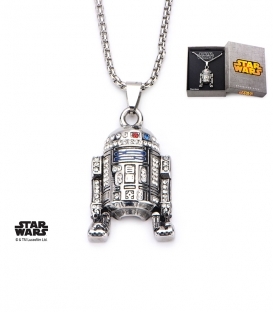 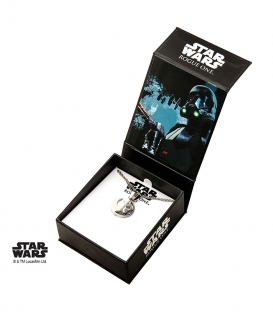 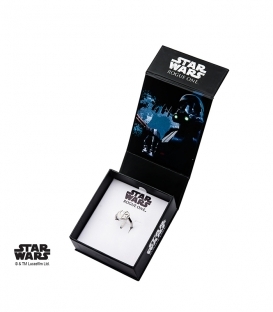 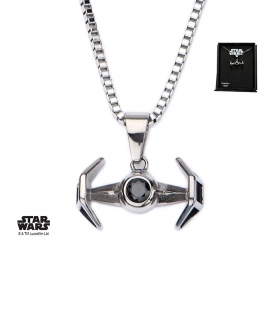 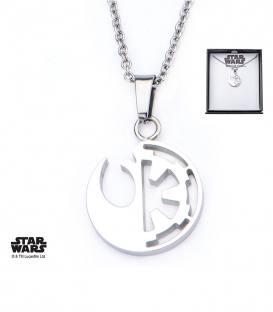 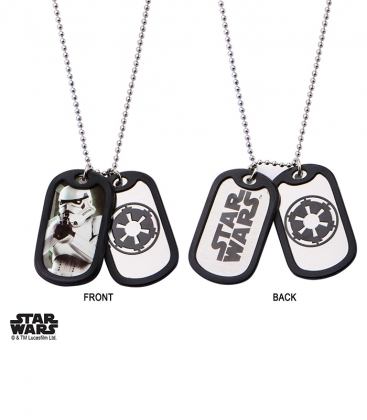 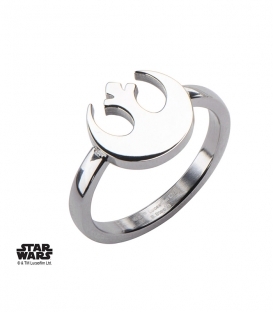 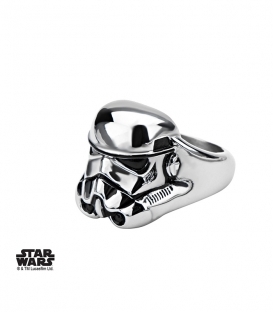 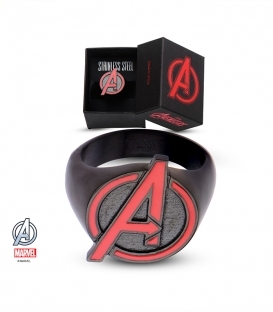 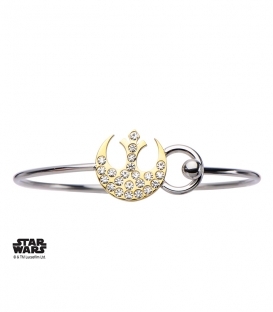 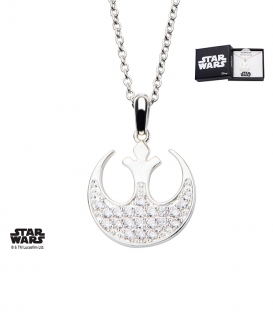 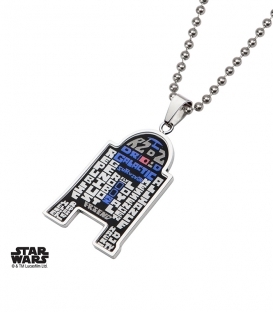 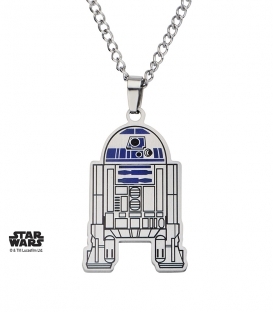 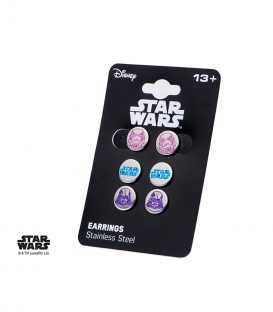 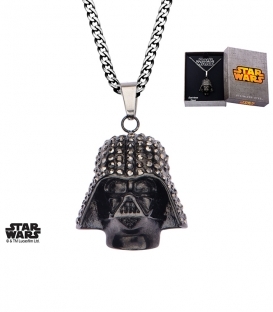 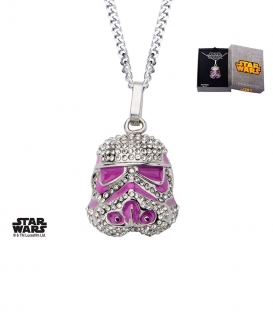 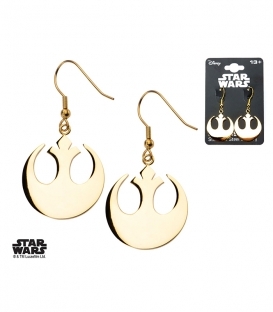 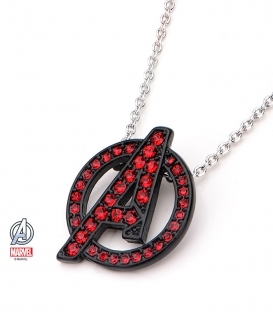 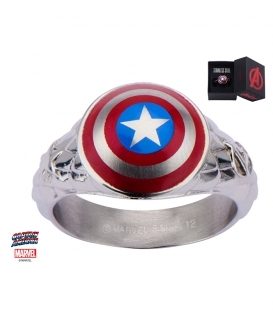 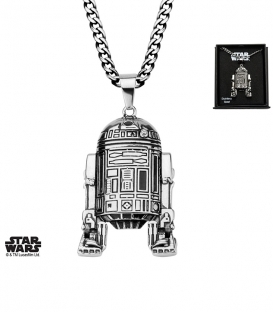 A whole range of Star Wars jewelry to shine in society whether you are in the evenings of the Empire or the Resistance.